The website www.thewineloop.com.au (‘website’ ‘site’) ’is owned and operated by The Wine Loop Pty Ltd ACN 620 174 290 (‘The Wine Loop’ ‘‘us’ ‘we’ ‘our’). By using or accessing this site, you acknowledge that you have read, understood, and agree to be bound by these Terms and Conditions (‘T&C’s’). If you do not agree to these T&C’s, please do not use this site. All purchases are accepted and handled in accordance with the conditions below and you, the customer, accepts these conditions by using the website. The Wine Loop controls and operates this site from The Wine Loop offices within Australia. These T&C’s are governed by the laws of the State of Victoria. You and The Wine Loop agree to submit to the non-exclusive jurisdiction of the courts of Victoria. Use of this site is for residents of Australia, only, and users must be over 18 years of age. The Wine Loop may revise or amend these T&C’s at any time at our absolute discretion by posting revised terms. You agree that, in the event that any portion of these T&C’s is found to be unenforceable, the remainder of these T&C’s remain in full force and effect. Any revisions will be effective immediately. By continuing to use this site after any revision becomes effective, you agree to be bound by the revised T&C’s. 3.1 The Wine Loop facilitates wine tasting and food events in Australia through engaging with Wineries, Winemakers and food venues (“preferred partners”.). 3.2 Through this website, The Wine Loop makes available the service of tickets sales to the food and wine tasting events (“the event”) facilitated by The Wine Loop (“the ticket event”). 3.3 The Wine Loop offers the ticket event through the ticket event booking page on this site (“the booking page”). 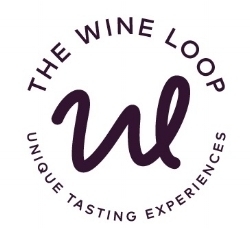 The Wine Loop use Ticket Tailor for the ticket event booking services, payments taken through Ticket Tailor are subject to their Terms and Conditions, please Ticket Tailor’s Terms and Conditions here. Details of the overall Wine Loop experience are contained on the website and the specific details of each event is as set out on the booking page. 3.4 In the event that a Preferred Partner is unable to cater for all special dietary requirement or for certain special dietary requirements, The Wine Loop will note this information on the booking page. 3.5 You are ultimately responsible for informing The Wine Loop on the booking page of your special dietary requirements and those of other guests on whose behalf you are booking. The Wine Loop will work with the venue to the best of their ability to accommodate your special dietary requirements. 3.6 The Wine Loop events feature food that is provided by the venue in a shared/grazing format. The Wine Loop will not accept responsibility, nor offer refunds for culinary likes or dislikes. 3.7 In the event that a venue is unable to cater to wheelchair access at the ticket event, The Wine Loop will note this information on the booking page. 3.8 The Wine Loop retains their right to substitute a winemaker for the ticket event with either another suitable representative from the winemaker or a new third party winemaker in the event that the advertised winemaker is unable to attend the ticket event. The Wine Loop is not liable whatsoever in the event of a change in winemaker and refunds will not be provided. 3.9 As you’ll appreciate, from time to time unexpected circumstances occur. Notwithstanding clause 3.8, should the ticket event be unable to proceed due to unforeseen circumstances of the winemaker being unable to attend, The Wine Loop shall be entitled to reschedule the event and will contact you and advise of the re-scheduled date of the ticket event or offer a refund of the ticket event. The Wine Loop is not liable whatsoever in the event of a cancellation by a winemaker. 3.10 In the event that the venue cancels the ticket event due to unforeseen circumstances, The Wine Loop retains their right to substitute the venue with a new third party venue. The Wine Loop is not liable whatsoever in the event of a change in the venue and refunds will not be provided. The Wine Loop will use their best endeavours to find a suitable alternative venue. However, in the event that this is not possible, The Wine Loop shall be entitled to reschedule the event and will contact you and advise of the re-scheduled date of the ticket event. The Wine Loop is not liable whatsoever in the event of a cancellation by a venue. 3.11 The Wine Loop’s events are conducted predominantly indoors but may on occasion be partially or fully outdoors. The Wine Loop will note this information on the booking page. Should the event have inclement weather, The Wine Loop will use their best endeavour to relocate the event indoors. However, in the event that it is not possible to relocate the event indoors, you accept the risk that the inclement weather may affect the event and The Wine Loop will not be responsible for a refund or exchange for the ticketed event, except to the extent otherwise permitted by law. 3.12 All Wine Loop events are designed in accordance with the Responsible Service of Alcohol. Should you consume the wine tasting measures at a Wine Loop event, you will be over the legal limit for driving. We highly encourage you to plan ahead and make appropriate travel arrangements to and from our events. If you consumer excessive amounts of alcohol, or otherwise appear intoxicated, we reserve the right to withhold service of further alcohol in accordance with Responsible Service of Alcohol requirements. No refund or partial refund will be provided in such circumstances. 3.13 During the course of a Wine Loop event, you may be invited via a third party platform such as “Glow” to provide feedback to the winemaker and/or venue on your mobile devices. The data shared is anonymous and is between you, the third party platform and the winemaker and/or venue. Glow’s Terms and Conditions can be found online here. 3.14 In providing the event, we will rely solely on the product, pricing and service information provided by our preferred partner(s) (“Preferred Partner Information”). Whilst we use our best endeavours to ensure the accuracy, completeness and timeliness of the Preferred Partner Information, it may be subject to change and accordingly we do not guarantee and will not be responsible for any damage or loss related to the accuracy, completeness or timeliness of any Preferred Partner Information. 3.16 You are responsible for the final choice of your Wine Loop event and choosing to proceed with any purchase. 3.17 By purchasing a ticket for the ticketed event, you are agreeing to allow The Wine Loop to take photographs at the ticket event for The Wine Loop’s marketing purposes. You will be given an opportunity by The Wine Loop host to opt out of being photographed at the beginning of a ticketed event. 3.18 The Wine Loop for marketing purposes uses images from the royalty free images from the website “Unsplash”. The Wine Loop where possible will acknowledge the original author of the image. 3.19 We use MailChimp as our marketing automation platform. By subscribing to our mailing list on our website or booking a ticket through our Ticket Platform, you acknowledge that the information you provide will be transferred to MailChimp for processing in accordance with their Privacy and Terms. 3.20 In the event of “unforeseen circumstances” The Wine Loop will use its best endeavours to re-schedule the ticketed event, either at the same venue or a different venue, and if possible with the originally scheduled winemaker. 3.21 “Unforeseen Circumstances” shall include all happenings beyond The Wine Loop’s control or in consequence of which The Wine Loop cannot readily deliver its planned event or website or other communication services. This may include but is not limited to all strikes, lockouts, trade disputes, fires, accidents, damage or breakdown of plant and equipment, and/or components involved disabling, or adverse exchange regulations, civil disorders, outbreaks of war or any other event of contingency beyond The Wine Loop’s absolute control and unforeseen circumstances. 3.22 You acknowledge that: the food and food service will be provided by the venue, and the wine will be provided by the participating winery, and that The Wine Loop is not liable to you in anyway whatsoever for any claim, loss, cost, expense, damage or other liability arising out of or in connection with the venue, the food, the food service, or other consumables offered on the day, or resulting from any conduct or omission of the venue, the winery or their employees or agents, and you release The Wine Loop from any such liability, except to the extent such liability cannot be modified or excluded by law. 3.23 We welcome feedback at the Wine Loop. Please feel free to reach out to Karen at karen@thewineloop.com.au or Nicole at nicole@thewineloop.com.au with any questions on these terms and conditions. Or contact Nicole on 0437 728568 or Karen on 0438 729255. 4.1 Prices displayed on this site are exclusive of GST and inclusive of booking fees. Prices and availability of items are subject to change without notice. 4.2 Subject to Clause 3.6 above, we will comply with the Australian Consumer Law in relation to refunds but to the extent permitted by law, once payment is made, we do not offer refunds or transfers to alternative events unless otherwise stipulated under these T&Cs. 4.3 Should you purchase a ticket for a future Wine Loop event in cash at a Wine Loop event, a credit card fee and booking fees do not apply. 4.4.1 Gift Vouchers may not be redeemed for cash. Normal terms will apply to any cancellation or change of a booking, but a credit will be available for the unused value of the voucher on any booking until the expiry date. 4.4.2 Gift Vouchers can be redeemed against any Wine Loop event; however, tickets are subject to availability (approx. 12 per event). 4.4.4 Gift Vouchers are like cash – they cannot be replaced cancelled or refunded, please take extra care of your vouchers. 4.4.5 Gift Vouchers both electronic and posted will be issued with 24 hours of ordering. 10.2 You agree to take responsibility for the safekeeping of your log in details, user name and password. You are liable if your user name or password is used by an unauthorised person. You agree to release and indemnify The Wine Loop in connection with any such use (whether authorised or unauthorised of your user name or password). 12.2 You agree to accept the full cost of any necessary repair, correction and maintenance of any of your computer software or hardware, which may be necessary as a direct or indirect consequence of you accessing this website. 12.3 By using this website, you agree that the exclusions and limitations of liability set out in these T&C’s are reasonable and necessary. 14.1 The Wine Loop is providing this site and the Wine Loop’s contents on an 'as is' basis and use of this site is at your own risk. The Wine Loop and The Wine Loop related companies, affiliates, licensors or licensees, and their respective directors, officers, employees or agents make no representation or warranty as to the accuracy, completeness, currency or reliability of the information contained on this site (including in relation to any products or services) or any linked sites. To the extent permitted by law, including any non-excusable statutory obligations, we will not be liable or responsible in any way (including in negligence) for errors in, or omissions from, the information contained on this site and the services which may be supplied to you as a result of your use of this site. To the extent permitted by law, The Wine Loop expressly disclaims all warranties of any kind, whether express or implied, including (without limitation) implied warranties or conditions of reliability, suitability, merchantability or fitness for purpose. 14.3 Information provided by us is general in nature and does not take into account your financial or other situation and needs. Before acting on any information contained on this site or otherwise provided by us, you must consider whether any such action is appropriate for you. 14.4 The presence of a preferred partner on our site does not constitute an endorsement by us of the provider, the content of their website or other information provided by them, or the activities they engage in. 17.1 The Wine Loop is bound by the National Privacy Principles contained in the Privacy Act 1988 (“Act”) and any applicable state or territory legislation that applies in relation to any personal information collected by it. 17.2 “Personal Information” is defined in the Act as “any information or an opinion (including information or an opinion forming part of a database), whether true or not, and whether recorded in a material form or not, about an individual whose identity is apparent, or can reasonably be ascertained, from the information or opinion”. 17.3 Your personal information may include your name, phone numbers, address, email, date of birth and other information you choose to provide or are required to provide for the purposes of dealing with us as a customer, potential customer, supplier, job applicant, stakeholder, contractor or in some other capacity, which may identify you. 17.4 We will collect personal information from you, when you: enter any information on the site, contact us by phone, mail, email or visit our website; make an enquiry about a product or service; purchase a product or service; enter any competition or special offer. 17.5 Your personal information may also be collected by us from publicly available sources or third parties. 17.6 Should you provide us with personal information about another person, you must obtain their consent and advise them of this policy, prior to giving their information. 17.8 Your personal information may be used for the purpose of direct marketing to keep you informed about a range of services which may be of interest to you. 17.9 If your phone number is registered on the “Do Not Call Register”, by providing us with your phone number, you consent to receiving phone calls from us and acknowledge and agree that such calls will not constitute unsolicited telemarketing calls under section 11 of the Do Not Call Register Act 2006 (Cth). 17.11 Protection of your personal information: Personal information collected by us will be stored by us in hardcopy and/or electronic form. We take reasonable measures to keep all personal information secure and protected from interference, misuse or loss and from unauthorised access, modification or disclosure and will be restricted to persons properly authorised. 17.12 If we determine that your personal information is no longer needed, we will take reasonable steps to destroy or permanently de-identify that information. 17.13 Access to your personal information: You may request access to your personal information held by us by writing to us at the address stated below. Where we hold information that you are entitled to access, we will endeavour to provide you with a suitable range of choices as to how you access it, at your expense, as soon as reasonably practicable. 17.14 Access to personal information may be refused in certain circumstances, such as where it would impact the privacy of others, for legal reasons, prejudicial to an enforcement body, reveal commercially sensitive information, pose a risk to the life or safety of an individual or if the request is frivolous or vexatious. 18.1 Whilst our Website operates in a secure environment and is professionally hosted, when using the website you should be aware that no data transmission over the internet can be guaranteed as totally secure. Although we strive to protect your personal information, we do not warrant the security of any information transmitted to it over the internet. Any information transmitted to us over the internet is done so at the risk of the person or organisation transmitting the information. 18.2 “Cookies” may be collected by our Website and used by us to improve our customer service and for statistical and marketing purposes. This information may include your personal information as well as nonpersonal data such as the server address, domain name, date and time of visiting the site, pages accessed, previous site you visited, whether you have visited our Website previously and the type of web browser used. 18.4 Further information on privacy legal requirements can be obtained from the Australian Information Commissioner at www.oaic.gov.auor phone 1300 359 779. 18.5 If you or someone you know wishes to use our website but needs assistance to do so please contact us by phone on Nicole 0437728568 or Karen on 0438 729255 or by emailing us at Karen at karen@thewineloop.com.au or Nicole at nicole@thewineloop.com.au or by writing in to 263 Edward Street, Brunswick East VIC 3057. We will do our best to make your use of the site easier.